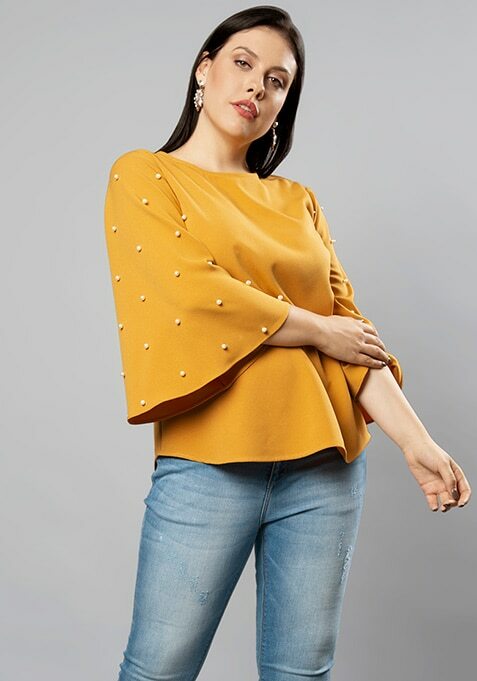 This mustard top will make a fashion forward edition in any plus size wardrobe. Features pearl embellished bell sleeves. Work It: Style it with distressed denims and heels.